This has been on my heart for a while. I know so many Christian women who are struggling in their faith. Who desire a deeper relationship with the Lord but feel stuck & distant from God. Who don’t know HOW to grow in Christ. Who have great intentions, but find it difficult to make time to study the Word or to stay focused in prayer. Who have hurts they can’t seem to forgive, battles they can’t seem to conquer, prayers that don’t seem to be answered, and lots of questions about God. Who feel exhausted and beaten down. Discouraged. Isolated. And overwhelmed. Ladies, I totally get all that because I have been there, and unfortunately if I don’t guard my heart and mind, I can slip back to that place. But that DOESN’T have to be your truth, and it shouldn’t be. But I also know we let the enemy have way too much power over us. 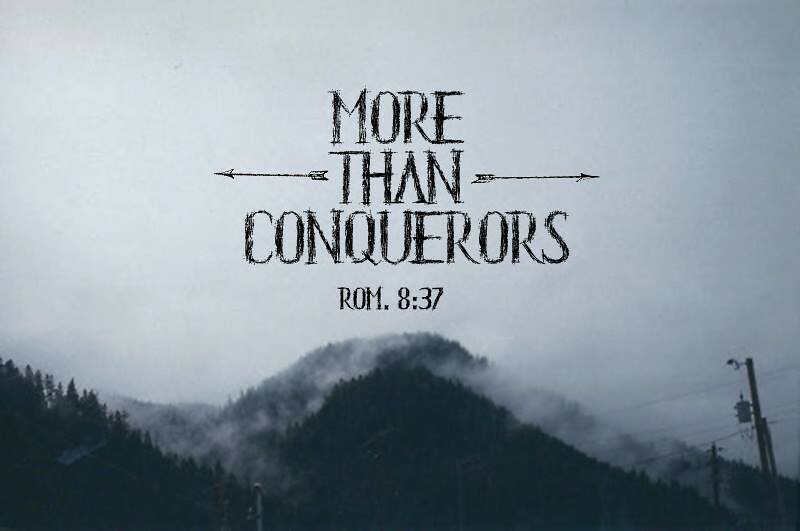 When we remember that Christ is within us, we have the authority to CLAIM that we are more than conquerors. Faith is so much more than trusting God with your eternity. That is the beginning. The crucial beginning, but only the tip of the iceberg. Salvation seals the deal for eternal life, but don’t you think God wants so much more for us than that? Ephesians 3:20 and John 10:10 tell us that he wants us to have abundant life…exceedingly, abundantly more than all we could ask or imagine, while here on earth. Does that not sound so appealing? An abundant life?? We…YOU…can have that. Faith is about a relationship…an intimate relationship with the one true God. It is about loving HIM and loving OTHERS. As I have grown in my faith, I have learned that my relationship with the Lord is a direct reflection of the time and effort that I put into it. And actually, that is true with any relationship. The only difference here is that with other humans, they may or may not match your effort. With God, he will ALWAYS give more generously & love more unconditionally. It’s tough for us to wrap our minds around that type of love sometimes (naturally, because his ways are higher than ours), so we tend to view our relationship with God within our human capacity. We expect him to respond to us, love us, and treat us the way others would…not the way GOD tells us in the Word that he does and will do. Here’s the beauty…God is ALWAYS there. His hand is always extended, his arms are always ready to welcome us, and according to the Word, he desires to be close to us. 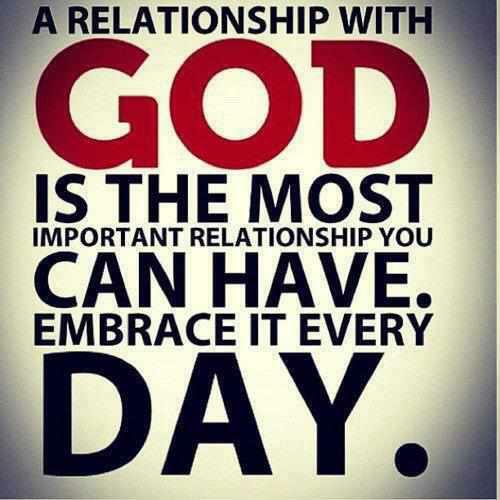 He wants an intimate relationship with us. When we draw near to him, he will draw near to us. And there is so much peace, comfort, and JOY in that. So here are a few things that have helped me grow deeper in my walk with the Lord. This is not some step-by-step guide or anything, but I do think sometimes it’s important to help people with practical suggestions. If you ask any relationship expert, they will tell you one of the most crucial components to the success of a relationship is effective communication. And I can just tell ya, that is absolutely key in our relationship with the Lord too. Our form of communication is prayer. Like I mentioned earlier, you may struggle with this like I did. I would start praying, and then get distracted as my mind would go a totally different direction. Or I’d go through a whole day and realized I hadn’t spent any time in prayer. Or I would only pray when I needed something. There is no right or wrong way to pray, but I have found that it works better for me not to make it so formal. I can communicate with God all day long. Before my feet his the floor in the morning, as I’m making breakfast, driving to the store, before meals, folding laundry, while working out, etc. Prayer also means listening, so sometimes it’s important to just “Be still.” We live in such a busy, busy world that sometimes I think we miss what he has for us because we don’t slow down enough to hear from him. (Or if you’re like me, you find the ‘waiting’ difficult so you just keep talking to fill the silence.) So here’s what you can do. Make prayer a habit. Set aside specific times during the day or a specific place in your home or work where you can eliminate distractions & focus on your prayer. Maybe set some timers on your phone? Pray before every meal, when you’re in the shower, at red lights, or running. Definitely, definitely keep a prayer journal. It is YOURS so there is no right or wrong way to do it. I typically journal things I am praying for (with the date) and I go back in to write how God answered those prayers. It is so encouraging to see so many prayers answered, even if answered differently than I hoped or expected. Usually it was more than I could have imagined anyway! So if you desire a deeper walk with the Lord, spend more time talking and listening to him. Become a prayer warrior! I feel like this book really helped me learn HOW to pray. Get to know the character of God by studying Scripture. What do you do when you’re working on growing in a relationship with another person? You get to know them better. Think about everyone you’re closest to in your life, and you can probably tell me a lot about that person’s interests, character, how they would react in certain situations, etc. And the way you know all of those things? You have spent TIME with them. If we spend TIME digging in the Word, studying Scripture, and getting to know God’s character, we will have a deeper and more intimate relationship. That might mean spending the first 10 minutes when you get out of bed every morning, or the last 10 minutes before going to bed every night reading your Bible. You might have to wake up a few minutes earlier, go to bed a few minutes earlier, turn off the electronics, set a timer on your phone, or put it in another room. I know that I lacked the discipline so I had to be very intentional and conscientious about making the time until it became a habit for me. Be thankful. Thank him for everything and become the most grateful person you know. God loves a thankful heart. People ask me all the time for suggestions of great Bible studies or devotionals. Don’t get me wrong. There is a place for those and I have done several that have really taught me a lot, shaped me, and helped me grow. I even recommended one above. But know this. THERE IS NO REPLACEMENT for the WORD of God. Lately I have been making more of an effort to chill out on all of the studies and books and just dig deeper in the Bible. Y’all, it is SO good! Like blow your eyebrows off good. Sometimes I hear women say they don’t understand it or they’re bored when they read the Bible. Once again, I think that is as simple as “you have not because you ask not.” Pray before reading and ask for wisdom & clarity. Ask for the Holy Spirit to help you understand. And know that the Bible is truly the most exciting, captivating, REAL, applicable, encouraging books I have ever read. Approach it with that mindset & perspective. There are some really great stories (truths) in there and you will be able to relate to more of it than you can imagine once you start really getting in there. *Also, you have to be cautious about what you’re reading. Not all Christian authors are truly teaching the Word. Find a mentor and church home. Ultimately, your relationship with the Lord is up to YOU. Your time & effort determine the intimacy in your relationship with the Lord. It is so important to take that personal responsibility & know that no mentor, Bible study, or perfect attendance in church services is a replacement for personal time spent growing, but I still believe we need accountability & encouragement. It is very rewarding being a part of the church body like you were designed to be. God already knows your heart. If you struggle with being consistent and disciplined in a certain area (studying the Bible, prayer, etc. ), confess that and ask for help. He WILL not hold back. This is exactly what the Bible is talking about when it says “Ask and it will be given.” I have found that the more time I spend in the Word and in prayer, the more I desire it. So maybe you’re young in your faith or haven’t had mentorship or a church family to teach you how to do these things. My best advice is to just START and pray for the Lord to give you a stronger desire to spend time with him each day. I know we live in a world full of distractions, so it’s more important than ever to carve out that time. It should be something you look forward to and not an obligation or something to just check off your list. So really, it’s that simple. Stop making excuses. (I know that sounds harsh, but excuses are lies from the enemy we allow to have way too much control of our lives and keep us from that abundant life God has for us.) Eliminate distractions and make TIME (uninterrupted time) to spend with the Lord. Have a thankful heart. Make a habit of prayer and studying the Word. Ask for forgiveness and turn from sin. ASK & believe. Thank you for this! You have encouraged me so much through this. I needed to hear this so bad! Thank you! This is so incredibly helpful! As a busy college student, my relationship with God was struggling. Thank you for writing this! Thank you so much for this! I am a young adult, trying to grow in my faith. Your words inspire me. Thank you. Best blog I've read in a while. I back up your recommendation of the Circle Maker. That book is a real eye opener. Cannot thank you enough for your blog and especially this post! This is exactly what I needed to read/hear. I admire your faith, but often struggle on how and where to start, since I didn't have a faith-based upbringing. Thanks again!! You are truly an amazing woman of god. I've been following your blog for months now and everytime there's a post regarding our walk with Christ it speaks and encourages me. Thank you so much and continue spreading his good news! Absolutely read the Bible on your own. God expects us to hear His voice above them all. The world will tell you what you want to hear. But only God's word speaks what you need to hear. Trust it and you will succeed in life.